text from urban-art info for swedish click here! stand atop the Teufelsberg, an artificial hill built by the Allies from the rubble of Berlin after the Second World War. Artists Meira Ahmemulic (Sweden) and Thomas Wiczak (Germany) have been doing research on the history, architecture and flora and fauna of the man made mountain since 2007. They have in effect been eavesdropping on an environment whose very purpose was to eavesdrop, unveiling the abandoned listening post by recording its fences, dining hall, operating rooms, passages, lounge areas, etc. By using the spy station as an instrument and talking to the people who once worked there, they come closer to what can be called the analog era of spying and its implications. 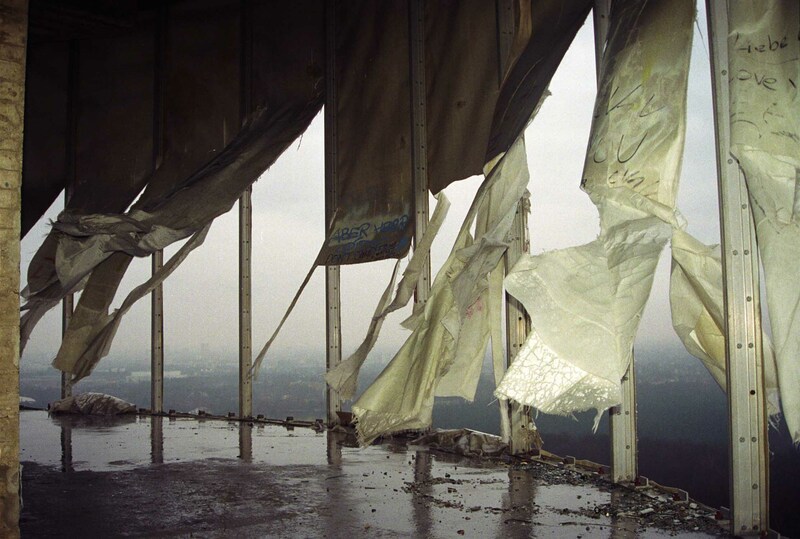 Message from Teufelsberg is a sound collage that includes field recordings and interventions from the artists’ ongoing research on the Teufelsberg. They open the listener’s ears to the sounds of the hill and its abandoned buildings. One of the workers who helped build the rubble mountains of West Berlin talks about their construction. 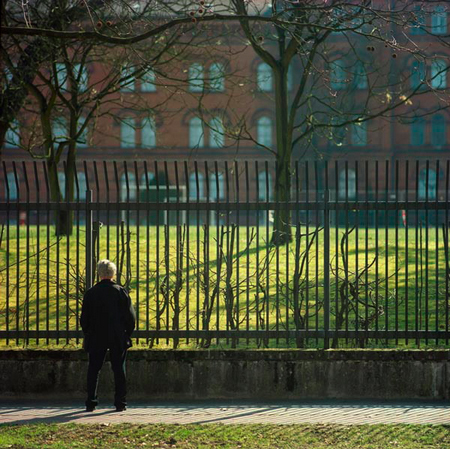 Former spies tell their stories after 25 years of secrecy. By listening to the persons who worked behind the eavesdropping devices, doing regular jobs, the listener is confronted with the surveillance of the everyday. 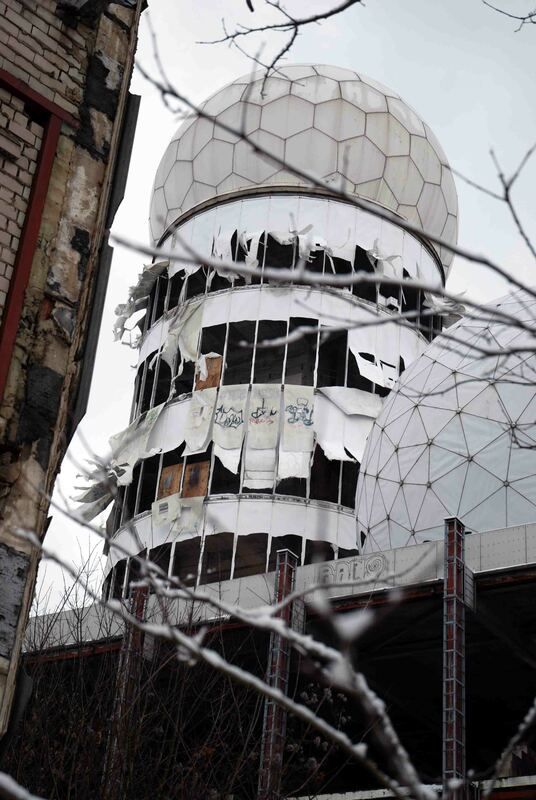 "Message from Teufelsberg" was re-edited in 2013 and has been published on KNING DISK in DEC 2014.. 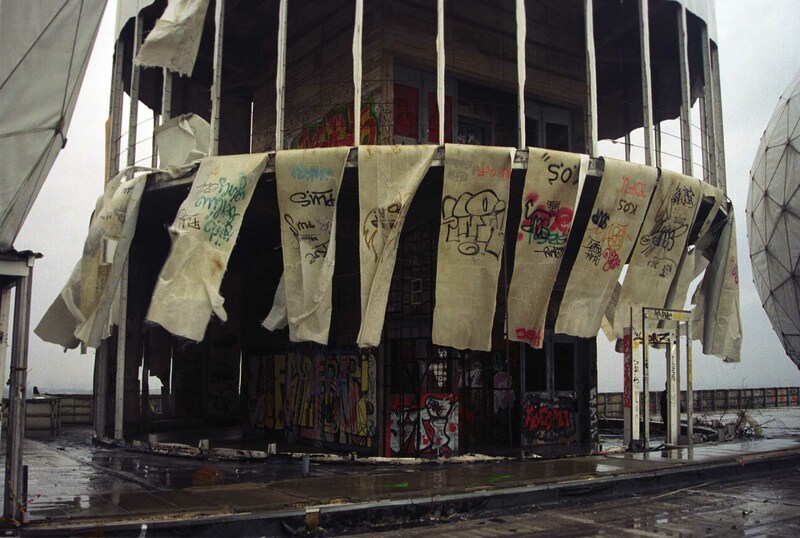 In this work Thomas Wiczak takes a material approach to the main tower of the building complex on the Teufelsberg. 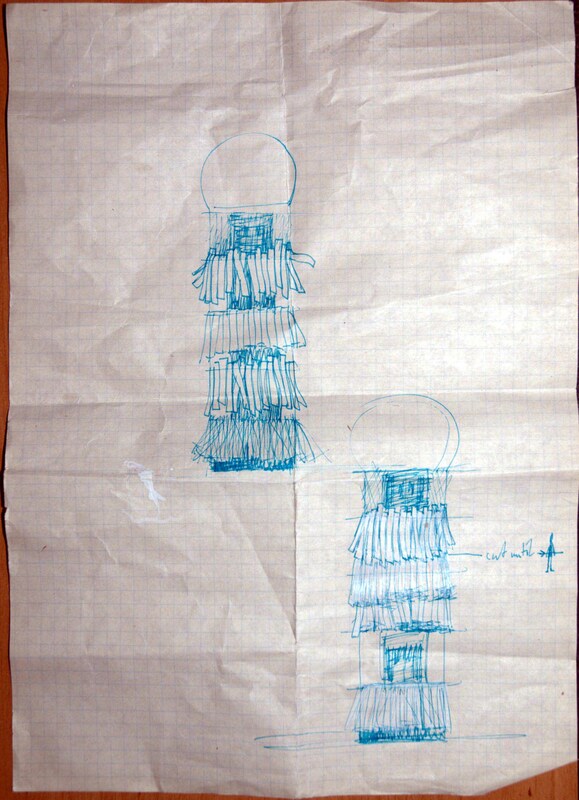 By cutting the tower, he probes the sonic and sculptural qualities of its architectural structure, feels his way across the half-destroyed, half-intact membrane of the tower, and completes the destruction begun by human beings and the weather. In doing so, he risks allegations of historical ignorance and vandalizing a historic site. The result is a work of formal rigor and sonic power. See also: BEFORE and AFTER the cut. Meira Ahmemulic has located people who worked at the listening post. Most of them were translators, linguists, cryptographers or technicians. 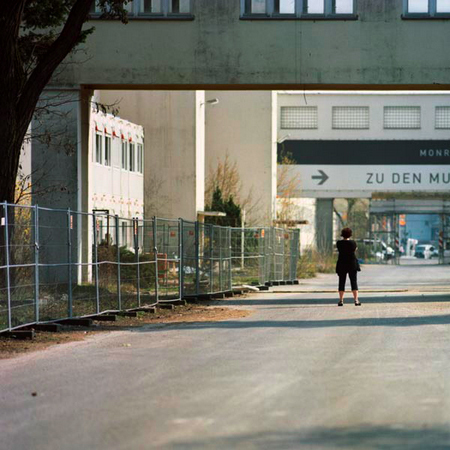 The work on Field Station Berlin (which was part of the National Security Agency) turned out to be monotonous and dull for the first spies who worked there. 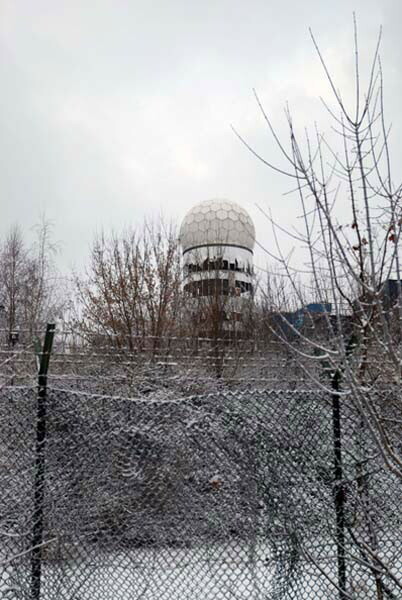 During interviews and walks with the Teufelsberg veterans, Ahmemulic visits once-important places for the American military presence in Berlin. Her large-format portraits feature some of them. 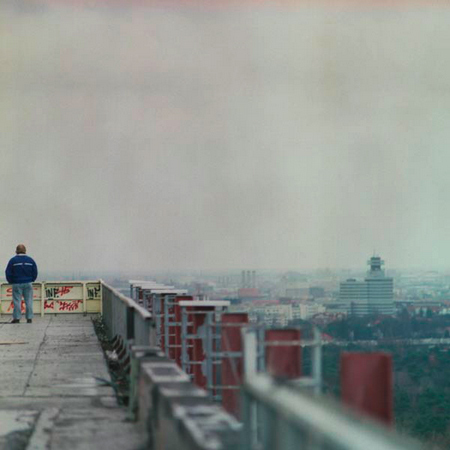 In Message from Teufelsberg the voices of the spies are taken back onto the hill where they once sat and eavesdropped on the people behind the Iron Curtain. 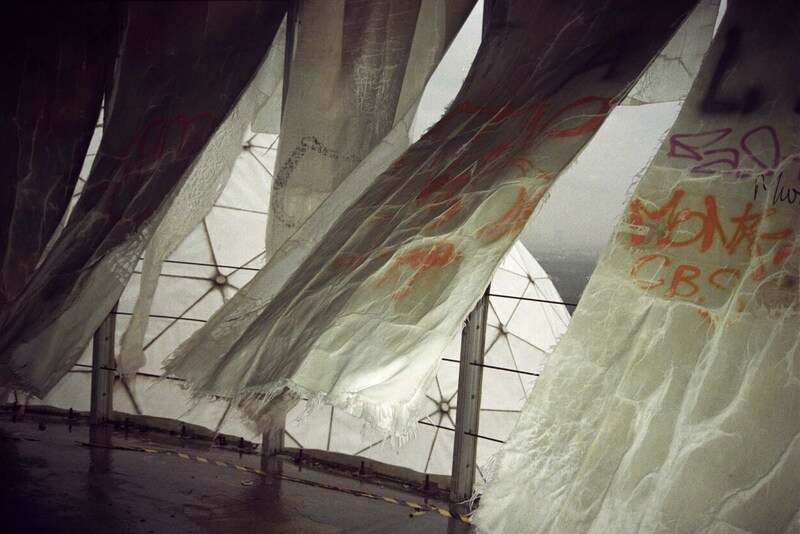 Original Spies is a work in progress; Ahmemulic is also working on a film about sounds and images from spying on the Teufelsberg. "Doug (Russian linguist)" "Sänger (Russian linguist)" "Ana Leigh (Morse code specialist)"